South Korea will ask Lockheed Martin to invest in the country’s KF-X fighter jet development project as part of offset deals over its selection of the F-35 joint strike fighter. The Defense Acquisition Program Administration (DAPA) made a final decision March 24 to buy 40 F-35As through the US Foreign Military Sales program. A final contract on the deal will be signed by September, according to the arms agency, with the first delivery in 2018. The deal is expected to be worth around 7.4 trillion won ($6.8 billion). Seoul redrew the terms of a $7.8 billion tender to buy 60 fighters last year after dropping an option to buy Boeing’s F-15 Silent Eagle in favor of purchasing a fighter with stealth capabilities. Seoul subsequently reduced the purchase to an initial 40 planes. 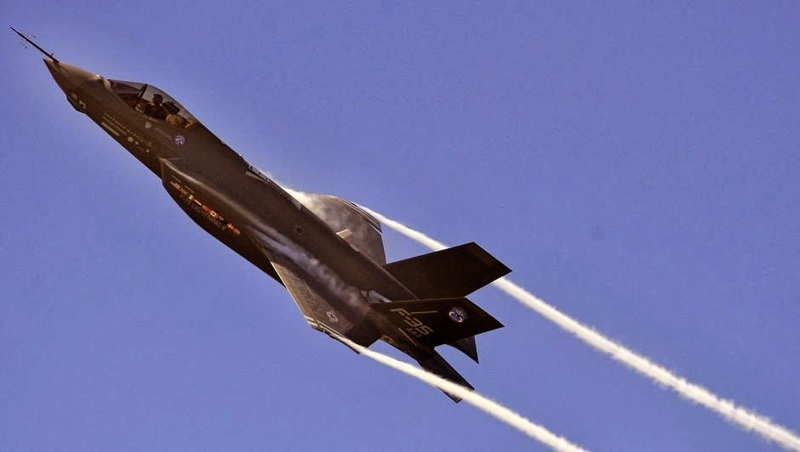 Randy Howard, director of Lockheed’s F-35 business development, said he expects the F-35’s cost to take a downward path that will lead to a unit recurring flyaway cost for an F-35A of between US $80 million to $85 million. But South Korean officials are cautious about Lockheed’s estimate. “It appears that Lockheed presupposes the best scenario for the progress of the F-35 program,” a Defense Ministry source said. Both governments and Lockheed will start “two-track negotiations” on the price and offset package deals this week. In the offset discussions, Seoul plans to ask Lockheed to shoulder as much as 20 percent of the KF-X development costs, according to multiple military sources. The KF-X program is aimed at developing an F-16-class jet after 2023 in partnership with foreign governments and companies. Indonesia joined the program to cover 20 percent of the cost, estimated to be around $8.4 billion. Seoul is supposed to fund 60 percent. Jung referred to the contract for the T-50 joint development program between South Korea and Lockheed. Under the contract, Lockheed covered 13 percent of the cost of developing the trainer jet, while the government and Korea Aerospace Industries shouldered 70 percent and 17 percent, respectively. A Lockheed spokesperson said there has been no decision on the company’s investment in the KF-X. Lockheed has offered to provide more than 300 man-years’ worth of engineering expertise in assisting Seoul in designing KF-X. The F-35 builder also will offer more than 500,000 pages of technical documentation derived from the F-16, F-35 and F-22, another stealth combat jet built by the US company. But direct investment is a hard option for Lockheed to choose, said Yang Wook, a research member of the Korea Defense and Security Forum, based here. He said Lockheed could fall into a dilemma over how much it can and should support the KF-X, which has been troubled for years over budget and specifications. At a time when South Korea is considering leasing secondhand US F-16s to help fill a potential vacuum in its air power caused by delays in fighter acquisition programs, including the KF-X, Lockheed doesn’t have a good reason to be in a rush to aid the KF-X program, Yang said. On top of the F-35, South Korea announced it would buy four RQ-4 Global Hawk unmanned aircraft built by Northrop Grumman for about $814 million, with first delivery by 2018. DAPA said it will sign a letter of acceptance with the US government this month before starting formal negotiations. 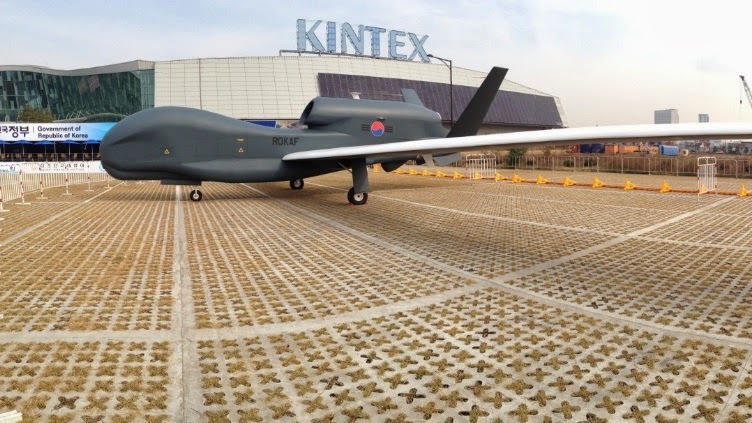 The South Korean military will use the high-flying spy drones to monitor key targets in North Korea as part of its “Kill Chain” missile defense system, which is designed to detect signs of impending missile attacks and launch pre-emptive attacks. “The high-altitude UAV is the key weapons system for the Kill Chain by monitoring North Korea around the clock to detect early signs of provocations,” the agency said in a statement.